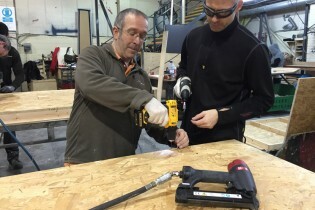 Crew for Calais is a group of companies and individuals working in the theatre, event and production industries who have come together to build some flat pack shelters for the refugee camp in Calais, to try and mitigate the effects of the winter weather on the people stuck there. 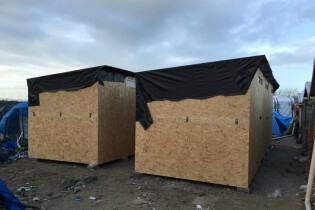 The work of the Crew for Calais team was brought to our attention only last week and so far we have been happy to help by donating materials and also spreading the word of the quick-response and hands-on work that they do. There have already been a series of regional build sessions in London and Birmingham and the next one will take place in Leeds during the week 15th to 18th of February at the Slung Low HUB in Holbeck.